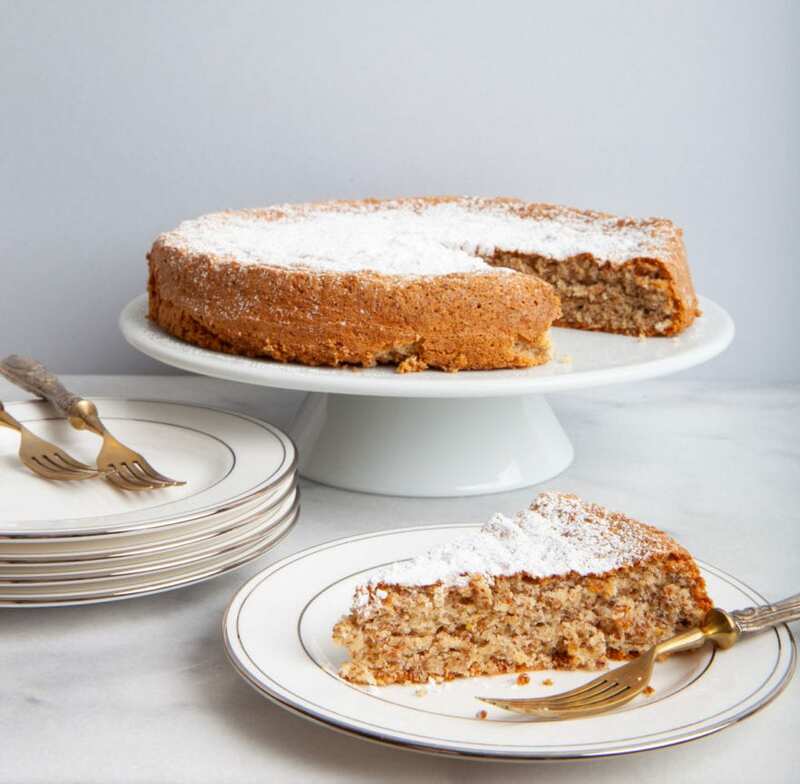 A take on the classic Mediterranean almond cake, this rustic treat uses whole kernels with the skins, offering a higher nutrient content but perhaps a less refined texture than the classic version. With a wonderful floral scent, it has become a staple dessert in our homes since the need to go gluten-free. Perfect with tea, as an after-school snack or dressed up with a sauce for dinner party dessert. Place the apricot kernels in a food processor and pulse until you get a uniformly fine, granular consistency. Add the baking powder to the ground apricot kernels. In a separate bowl, cream the egg yolks with ¼ cup of the sugar. Add in the vanilla and the zest. Then, add in the ground apricot kernel mix. Combine well until you get the consistency of paste. Set aside. In your mixer, beat the egg whites on low for 30 seconds, then pour in the remaining ¼ cup of sugar and increase your mixer speed to medium. Once all of the sugar is incorporated into the egg whites, turn the speed to medium-high and whisk to form stiff peaks. Take a large dollop of the whipped egg whites and gently fold into the ground apricot kernels paste. Fold in a second dollop of whites and gently mix through. Repeat until all of the egg whites have been incorporated. You should have a light, airy batter at this point. Pour the batter into the cake pan and bake in the oven for 30-35 minutes, or until a cake tester or skewer comes out clean. Allow the cake to cool for 15 minutes on a wire rack before removing it from the pan. Once the cake has fully cooled, top with a dusting of powdered sugar.